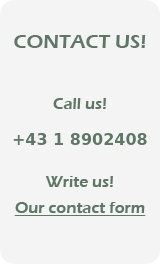 You can choose between the following possibilities to contact us in order to receive more information! Our experienced team will be pleased to answer your questions as soon as possible and remains at your disposal through our free hotline. Please enter your contact details on the right and click "Send". Or simply use our contact form! - you will shortly receive our reply!